Upon arrival at Cairo International airport you will be met by a Busabout representative (once you clear customs) who will arrange your airport shuttle. Soon you'll be in the middle of cars, trucks, buses, mopeds, donkeys and pedestrians as they fight for space on the busy roads. Once you're checked in to the hotel join up with the group for an evening orientation walk and the option of having dinner at one of our favourite local restaurants. Today is all about exploring Cairo, the capital city of Egypt and known as the 'The City of a Thousand Minarets' for its stunning array of Islamic architecture. 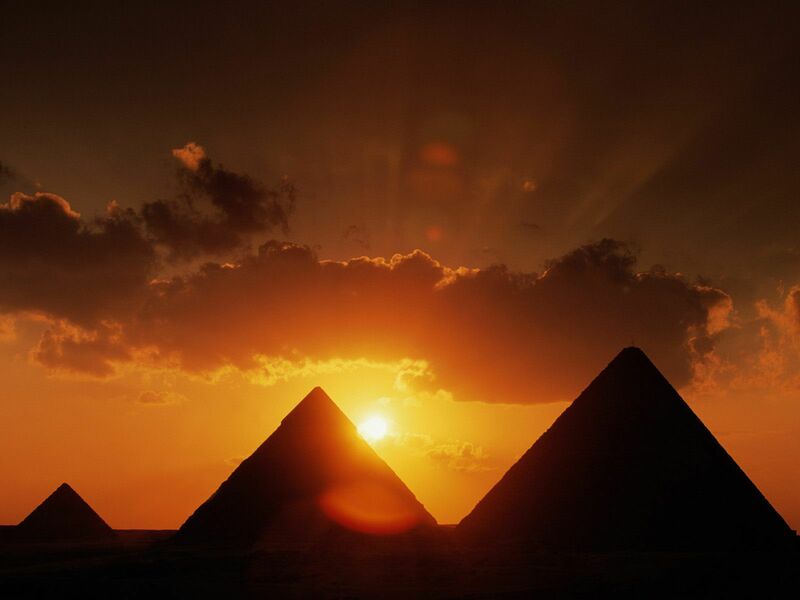 We start with a visit to the Pyramids of Giza where you can view the Pyramid of Cheops, the only remaining Seven Wonder of the Ancient World. We head off to the world-famous Egyptian Museum where you'll be guided through thousands of artefacts, including the funerary treasures of King Tutankhamen. The Pyramids and the Museum will take up most of the day, but you'll have the early evening at leisure before boarding the overnight train to Aswan. Make sure you check out the markets of the local bazaar before we make our way to Aswan, haggling for a better price is customary in Egypt!. Overnight: Aswan (Train).The train offers comfortable reclining seats with plenty of legroom. The journey takes approximately 12 hours and if you want to sleep we recommend you upgrade to a single or twin sleeper cabin. This morning the train pulls into Aswan mid morning and we'll waste no time in getting from the station to the Aswan High Dam. The High Dam was finished in 1970 and has had a huge impact on the Egyptian economy and culture. You'll get all the info from your Guide before it's time to visit the Philae temple, sure to be a highlight of your time in Egypt. 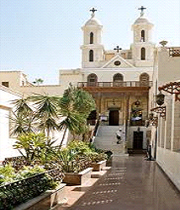 The afternoon is yours to explore the Souk of Aswan and take in its distinctively African charm. We continue on to the river city of Luxor by bus. After breakfast we head to the temple of Edfu which was built by Amenhotep III around 1370BC and dedicated to Amon-Re, king of the Gods and his consort, Mut. This fascinating temple has been used almost continuously for worship ever since. This evening you have a chance (time permitting) to enjoy an optional sound and light show at Karnak temple where, amongst the avenues of Sphinxes and halls of colossal columns, you'll hear tales of ancient Thebes. We have an early start today to take the ferry from Hurghada to Sharm-el-Sheikh, continuing our journey through the Sinai desert to Dahab. Dahab is Arabic for "Gold" and almost certainly is derived from the golden sandy beaches that surround the town. We drive 1 ½ hours from the ferry port in Sharm-el-Sheikh to your hotel resort through the Sinai desert. In Dahab you're sure to have an unforgettable stay with time to relax, enjoy the colourful waters of the Red Sea, dive, snorkel, and explore. Spend the afternoon at the beach, relax by the pool, and head into downtown Dahab in the evening to have a look around. Perhaps you'll end up at the infamous Shipwreck bar for happy hour! Overnight: Dahab (Beach Resort)Please note: Occasionally the ferry between Hurghada and Sharm El Sheikh can be cancelled due to weather conditions. If this should happen the connection will be made by bus. Head to Mount Sinai to watch the sunrise over the Sinai peninsula then spend the rest of the rest of the day in Dahab enjoying this awesome coastal resort. 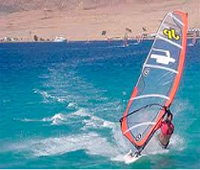 There are loads of excursions available like trekking up Mount Sinai or go swimming and snorkelling in the Red Sea or simply kick back on the beach. Today your trip comes to an end so it's time to bid farewell to Egypt. 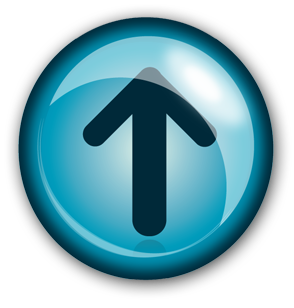 If you need a transfer to Sharm-el -Sheik airport or Cairo, our representative can assist. Upon arrival at the Cairo International Airport, you will be met and transferred to the Ramses Hilton Hotel (or similar) for your overnight stay. You will be met this morning by an English-speaking Egyptologist guide, for a full day excursion to the pyramids at Giza. At the edge of the modern city, on the verge of the desert, you will view some of the most astounding structures ever constructed by man. With no doors or windows to give them scale, the monolithic forms seem deceptively small until arriving to its base. 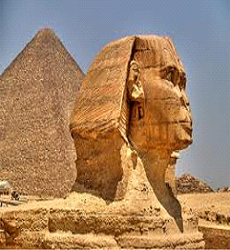 Visit the Sphinx. Abu-El-Houl, or fear in Arabic, was sculpted in the image of pharaoh Chephren (head of the Pharaoh and lion’s body) standing as a guard for his pyramidal tomb. Then visit the Solar Boat, resembling paintings and models of boats that have survived since the Fourth Dynasty. Enjoy lunch at a local restaurant before visiting Sakkara and Memphis. Skirting fields watered by canals from the Nile, the road south from Giza leads to Sakkara, the largest necropolis in Egypt, with hundreds of tombs and monuments erected throughout ancient Egyptian history. Finally visit the Step Pyramids of Zoser. The very earliest of the great pyramids built perhaps a century before those at Giza, King Zoser’s architect stacked six large mastabas, rectangular tombs with flat-tops, on top of one another to create the step pyramid. Return to the Ramses Hilton for your overnight stay. 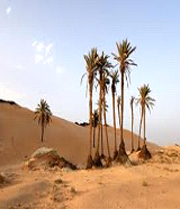 Travel through the mountains to the Farafra Oasis, approximately a three hour drive. En route, you will visit the White Desert whose chalky white sands look like snow, and is often wind-blown into gigantic mushroom-shaped formations. The isolation of the Farafra Oasis creates a special world of eternal sunshine and incredible beauty that is just beginning to be penetrated by the outside world. Peaceful and serene, its big skies and rugged landscape contain some of the most spectacular scenery in the Western Desert. Overnight at the Aqua Sun Hotel. Depart for the Dakhla Oasis, approximately a three hour drive. Have lunch and check-in at the Desert Lodge Hotel. Dakhla is the breadbasket of the area, with its fields and orchards lush with produce. The beige and brown landscapes are replaced with golden sand, red earth, pastel villages, and vibrant green fields. Step back centuries as you visit the spellbinding medieval village of Al-Qasr. Walk the narrow alleys threading among the mud-brick structures. Be sure to take note of the four/five-story Ottoman houses with their wooden-grill windows and lintels carved with verses from the Koran. Visit the 12th century mosque. Two miles beyond Al-Qasr, is the El-Muzawwaka burial site, with its 1st and 2nd century tombs. Time permitting, visit Balat Village with its Pharaonic mastabas dating to the 6th Dynasty. 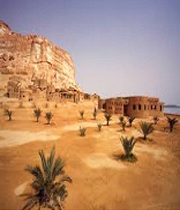 Qasr Dakhla, situated to the north-west of Mut, is one of the fortified Medieval Islamic towns often seen in Dakhla. It rests on the Sioh Ridge, nestled beneath the pink limestone escarpment that marks the dates to 1518 on the Beit Ibrahim. The Islamic town, el-Qasr, meaning ‘the Fortress’ was probably founded around the 12th century AD by the Ayyubids, over the remains of an earlier Roman period settlement. After breakfast, leave for the Kharga Oasis, about a two hour drive. Prehistoric paintings of giraffes and antelopes decorate the sides of strangely-shaped rock formations along the 125 mile road between Dakhla and Kharga oases. Check-in at the Pioneer Hotel and have lunch before touring the area. Kharga is the most populous Oasis of the Western Desert, and though it offers a variety of sites of interest to visitors, including an ancient fortress and villages, the landscape is what most overwhelms travelers. Here you will encounter the desert as you had always imagined the desert would be. The bustling main city, whose inhabitants now number sixty thousand, including one thousand Nubians who settled here after the creation of Lake Nasser. The oasis is still growing and the Egyptian government has plans to reclaim even more of the desert areas to offer land and homes to people in the overcrowded Nile Valleys as well as to make the area more attractive. Visit the newly constructed Kharga Museum, which houses an excellent collection of regional artifacts from various eras. A mile out of town is the temple of Hibis, built by the Persian emperor Darius in the 6th century BC and dedicated to God Amun. 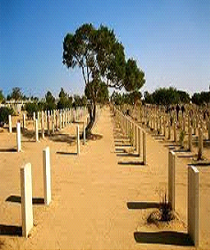 A mile farther is the fascinating necropolis of Bagawat, a Coptic Christian burial ground dating to the 4th century. Its mud-brick mausoleums cover many hills and some of the domes are decorated with frescoes of biblical scenes. Tour the Temple of Ghuwaytah built during the Ptolemeic era for the Triad of Amun, Mut & Khonsu. Overnight at the Pioneer Hotel. Head to Luxor, approximately four hours, stopping at the Qasr Al-Zayyan and the Roman fortress of El-Deir along the way. Within the rectangular mudbrick enclosure walls of the fortress is a temple dedicated to the god ‘Amun of Hibis,’ who was known to the Romans as Amenibis. Overnight in Luxor at the Meridien Luxor Hotel. Transfer to the pier for the embarkation of your Nile Cruise, for four nights. 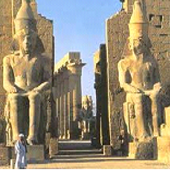 Today you will visit the East Bank, Luxor, and Karnak Temples. The temples of Karnak and Luxor were established in honor of the god Amun. In the past, the two temples were linked by an avenue of ram-headed sphinxes, representing the god Amun, who became the state god during the 18th Dynasty, transforming Karnak to one of the most important religious centers in the country. Cross to the West Bank and visit the Necropolis of Thebes, the Valley of Kings and Queens, and the Temple of Hatshepsut at Deir El Bahari. 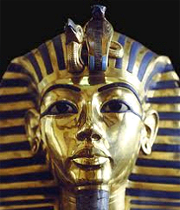 There are between 75 and 80 tombs in the Valley of Queens. 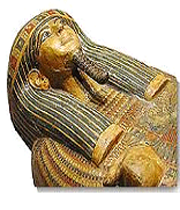 The Valley of Kings in Upper Egypt, the tombs of pharaohs from the New Kingdom can be found. Queen Hatshepsut’s Temple is one of the most dramatically situated in the world, set at the head of the valley, overshadowed by th Peak of Thebes, the “Lover of Silence,” where the goddess who presided over the necropolis lived. Return to the boat for lunch, and said to Edfu. Dinner and entertainment on board. Visit the Edfu temple, dedicated to Horus, the mulitform god of the sun and planets. 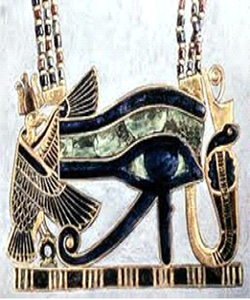 The hawk (symbol of the god) is prominent in its decoration. Sail to Kom-Ombo, with lunch onbard. Visit the Kom-Ombo temple, shared equally by two gods Sobek and Haroeris, where everything in the temple is in pairs. 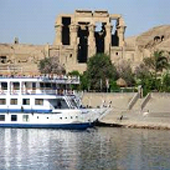 Then, sail to Aswan, with dinner and entertainment on board. 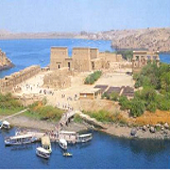 After breakfast, visit the Aswan High Dam, the Unfinished Obelisque, Granite Quarries, and the famous Philae Temple partially submerged in the Nile behind the High Dam until the international rescue efforts reassembled it in all its glory, on the islad of Agilkia. 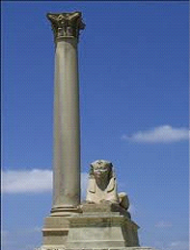 The Ptolemaic Temple of Isis (Philae Temple) illustrates the Egyptian use of the post and lintel system of construction. The last known hieroglyphic inscription in Egypt dates from 394 CE and is in this temple. Enjoy lunch onboard, then visit the Elephantine Island and museum, and view the Agha Khan Masoleum by Felucca. Dinner and entertainment on board the boat. 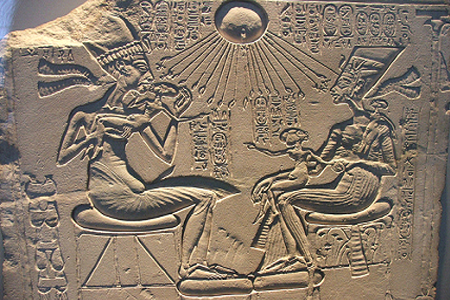 Transfer to the Aswan airport and fly to Abu Simbel, built by Ramesses II in ancient Nubia, to demonstrate his power and his divine nature. Four colassal statues of him sit in pairs flanking the entrance. The temple faces to the east, and is situated so that twice a year the sun’s rays reach into the innermost sanctuary illuminating the seated statues of sacred figures. 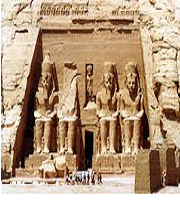 The temple was cut out of the sandstone cliffs above the Nile River in an area near the Second Cataract. When the High Dam was being constructed in the early 1960s, international cooperation moved this temple to higher ground, above the rising waters of lake Nasser. 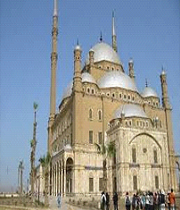 In the afternoon, fly back to Cairo and transfer to the Hotel for your final night in Egypt. Day 1. Arrive Cairo. 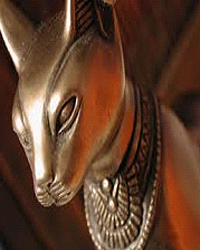 Upon arrival at Cairo Airport you will be met & assisted by Goway's local representative and transferred to your hotel. The remainder of your day is at leisure. Day 2. 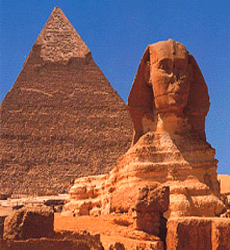 Exploring Cairo - Pyramids & Sphinx, Memphis & Sakkara. Day 14. Aswan/Abu Simbel*/Cairo. After breakfast you will transfer to Aswan Airport for your flight back to Cairo where you will be met and transferred to your Cairo hotel for overnight. accommodation, airport meet & greet, round trip airport transfers, Inter-Egypt airfare, accommodation at selected hotel and cruise ship, meals as indicated by BLD, guided sightseeing & entrance fees as per itinerary. Arrive at Cairo airport and transfer to hotel. Meet tour coordinator for welcome briefing. After breakfast transfer to Hurghada Airport for your flight to Cairo. Transfer to your hotel in Cairo. Transfer to airport for flight back home. Thank you for visiting Egypt! *Cruise itinerary and sightseeing sequence is subject to change as per preferred cruise ship, embarkation dates/routes, navigational and security restrictions. 78 nights accommodation in 4 and/or 5 star hotels as indicated or similar, including breakfasts.